It’s okay, we understand. Falling in love with a home may seem a little unorthodox to some, but we won’t judge you. When you move into your newly built home, a sense of bliss can overcome you – a sense of belonging. When everything is in its place, you get that warm fuzzy feeling that comes from knowing that your home is yours, down to the last brick. 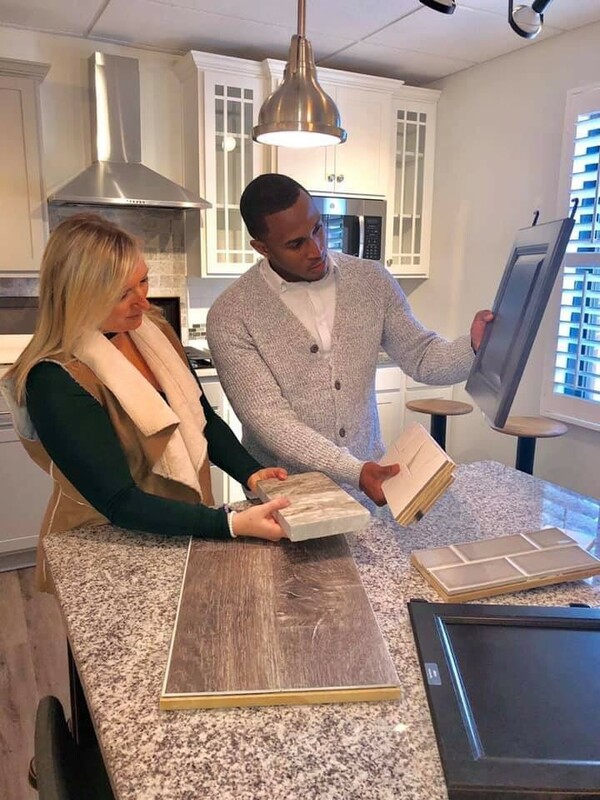 While you may think that your infatuation is nothing more than a honeymoon phase, you’ll see that there are plenty of reasons why your relationship with a new home can be built to last. From special design features to complete control of customization, new homes certainly have a lot to offer. While the features of new homes can differ greatly depending on their design, there are a few features offered by Legacy Home Builders that you can find easy to love. Our EASYLIVING™ plans are designed with you in mind, and are functional, spacious, and comfortable while maintaining a sense of beauty and craftsmanship. Also, part of these plans is a concept called the Lifestyle Triangle™. You and your family spend most of your time in the kitchen, the dining area, and the living area. What we’ve done with this design is devote a large quantity of usable space to these three and have also grouped them together to facilitate togetherness when spending time at home. We’ve also enhanced the kitchen island and made it larger to be the focal point of the kitchen. Family dinners, kid’s homework, and many other daily activities happen at the bar area, and we want that to be a great experience for everyone. Our Direct Connect Laundry™ system is another feature to fall in love with, as it makes getting to and working in your laundry area a pleasure instead of a hassle. Centrally locating the laundry area helps when it comes to convenience, and it’s something that you can love for years to come. Likewise, our integrated family rooms, comfortable, casual living areas, flex rooms, and more make Legacy Homes the best choice for your new home project. When it comes to quality of build, Legacy Homes can give you a hunk of a home to call yours! Trust is very important in any relationship. Our proprietary building system, known as System 7™, ensures that you can trust the build quality of your new home and have confidence that it will last for the long term. System 7™ pays special attention to the foundation, framing, rough mechanical, drywall, paint, cabinets, and final construction of your home to ensure that it is well built. Do you love saving money on utilities every month? Well we’ve got the match for you! All our homes have built-in energy efficiency features such as advanced framing techniques, improved insulation that reduces internal leaks and drafts, and Energy Star® rated low-e windows, among other things. Your estimated annual energy savings from building a new home with us is approximately $1,257! All you have to say is “I do”! The best part of building a new home is your ability to customize it to be the way that you want it! At Legacy Homes, you can pick colors, bath and lighting finishes, cabinets, counter tops, and more. Your taste and style are your own, so you create your dream home, all with the personalized service of an expert. 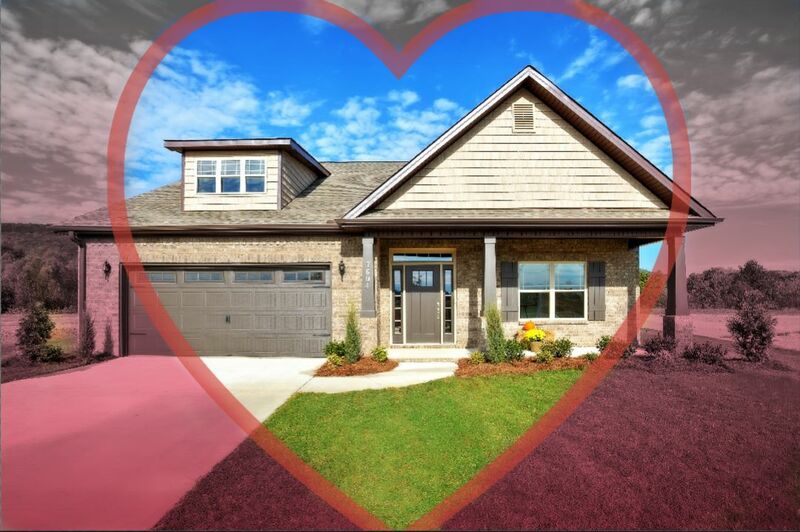 Your new Legacy Homes home will be made just for you to love. If you’re looking for a home to love, call Legacy Homes at (256) 361-9104.